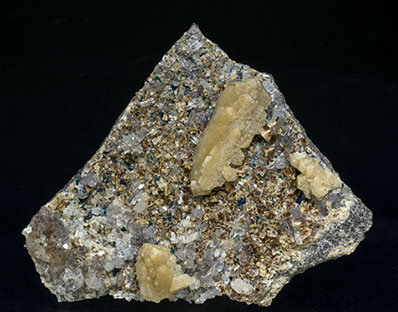 Aggregate of Whiteite-(CaFeMg) crystals with very sharp edges and slightly elongated due to parallel growths. They have a clear cream color and are on matrix, with small Quartz and Lazulite crystals. 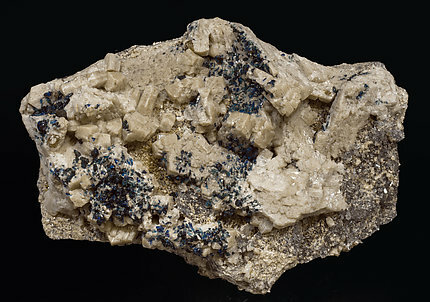 Aggregate of Whiteite-(CaFeMg) crystals, one of them clearly dominant, with very sharp edges and slightly elongated due to parallel growths. 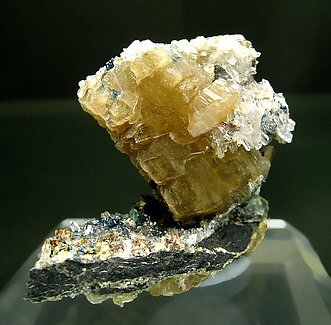 The Whiteite-(CaFeMg) is a clear cream color and is on matrix, with Quartz and small Lazulite crystals. 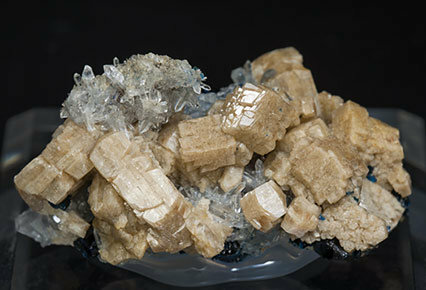 Whiteite-(CaFeMg) crystals with thick tabular shape and very well defined parallel growths. They have a clear cream color and are partially coated by small Lazulite and Quartz crystals. The crystal has a good size and it is quite well defined. 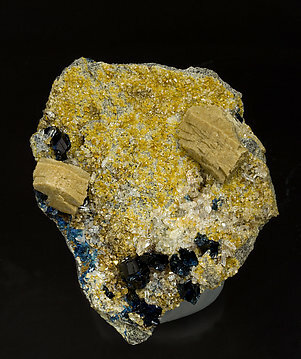 It is partially covered by Quartz, Siderite and small crystals of Lazulite, also present on the matrix. Individual Whiteite-(CaFeMg) crystals, one of them clearly dominant, flattened and very elongated due to repeated parallel growths. They have a light cream color and are on matrix, with small Quartz, Siderite and Lazulite crystals. Doubly terminated creamy crystals of Whiteite with curved faces and edges. 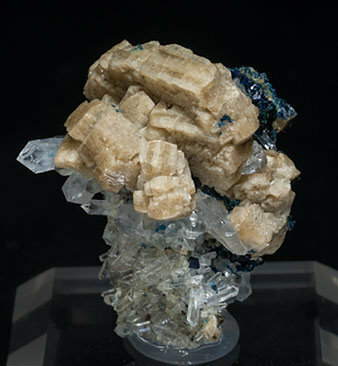 They are on matrix with well developed crystals of Lazulite, Quartz and Siderite. The sample is with a John. S. White collection label in whose honor the species was named.